Ah! This trippy moving optical illusion has almost ruined my entire day, I swear! 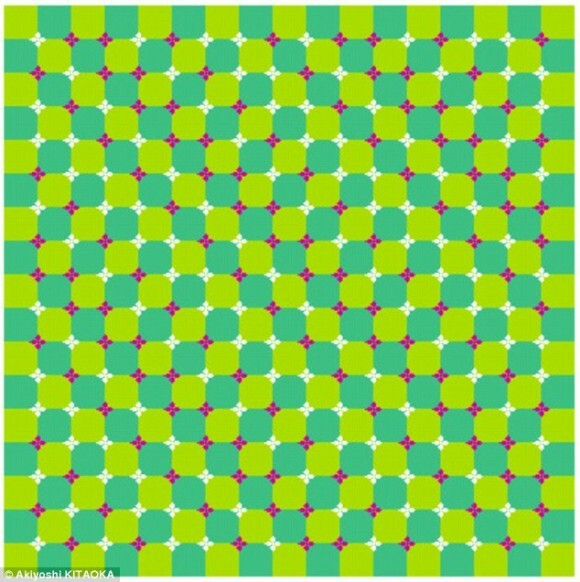 This is actually a static image, but it appears to be moving if you look at it a certain way. Scan your eyes over the image. Does it start to move a little? Shake your head back and forth a little while keeping your eyes on the image. Moving now? Move your mouse cursor around over the image. Is it moving a little more now? Scroll the screen up and down slightly. Are we rockin’ and rollin’ now? For me, scrolling the screen up and down a bit made this trippy moving optical illusion really start movin’! Which of the methods above made this image move the most for you? Love this trippy moving optical illusion? Head over and check out this awesome moving tunnel illusion! It’s one of my favorites!